Marianne Hall still has a kiln for sale in Blowing Rock. She is willing to reduce the price to $1800.00, though with that price she cannot deliver the kiln. Working from a live model each week, students will hone their understanding of basic anatomy, proportions and the mechanics of movement in 3 dimensions. After first creating multiple fast sketches in clay to work out technique, students will then advance to a longer-term sculpture based on a single pose, with more attention to detail. Please join us for this exciting opportunity to work with decorated sculptor, Leonid Siveriver. A good casserole bakes and presents your food beautifully and certainly impresses at potlucks. But casseroles are complex forms to create and get just right. Join Cayce as he demystifies the process step-by-step, with plenty of one-on-one instruction. Techniques demonstrated will include throwing hollow, making a tight fitting lid, and plenty of variations for knobs and handles. Soon you will be creating beautiful, functional casseroles to use and enjoy for years to come. Join Resident Artist and Odyssey Gallery Manager Julia Claire Weber as she guides you through a relaxed approach to throwing on the wheel with confidence! Class demos will focus on developing the basic techniques for throwing forms such as cups, mugs, bowls, tumblers, plates and vases. 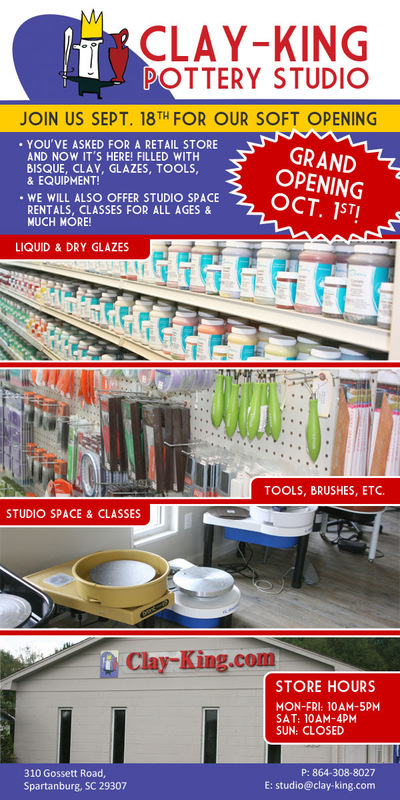 Class is geared for beginners, though seasoned potters and those looking to improve their skills are welcome! Tile murals can beautifully enhance your kitchen, bathroom, or outside sidewalks and paths. Students will design their own ceramic tiles using the slab roller and press molds, then incorporate ideas and imagery through carving, sgraffito, Mishima, and ceramic decals. Underglazes, glazes, and firing will be covered. Finally, we will learn how to install these finished pieces indoor or outdoor. Discover how to personalize your work with decorative techniques that will give each piece a unique finish! Using a rich clay body, along with colorful underglazes, slips, and more, we will explore how to control and enhance what happens under in final glazing process. The work made will be fired at a different mid-range temperature to reveal the beautiful reds and browns in the clay body along with the vibrancy of the added colors. We will discuss how to maintain different consistencies with the clay to accomplish various surface techniques. This class will allow students to be flexible in forming their work through hand building and wheel throwing. We will treat each piece as a canvas to explore what can happen under the glaze. Looking for a way to get creative and messy after school? Always wanted to play around on the potter's wheel? Join Halima this fall and discover the FUNdamentals of throwing. 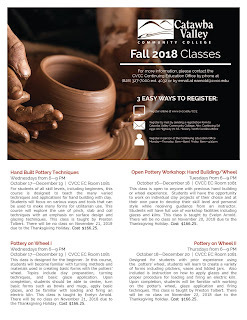 In this class, students will learn to center clay on the wheel and the essential techniques used to craft cups, mugs, plates and bowls. Students will create and decorate their functional masterpieces and leave with a set of handmade pots to use at home! This 4 hour glaze discussion will be a general overview of ceramic glazes, focusing on but not limited to cone 6 glazes. We will discuss as much as possible in our time but it will be conducted in a casual question and answer format which will drive the content of the afternoon. Glazes will be discussed in a practical and easy to understand dialogue designed to help potters gain an understanding of glazes, firing and glazing. Cost : FREE for members – $5.00 for non-members ALL ARE WELCOME!!! 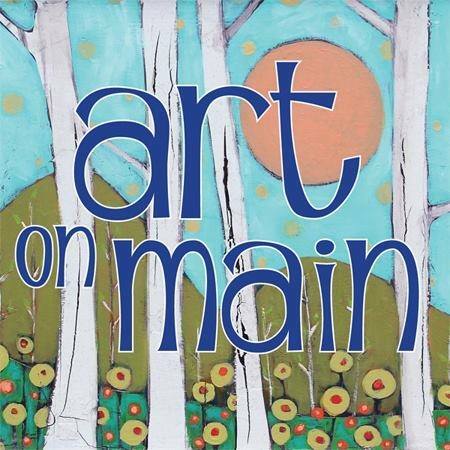 The Arts Council of Henderson County presents the 59th annual Art on Main, a fine art / fine craft festival on September 29 & 30, 10am – 5pm both days. Meet more than 90 juried fine artists who will be showing and selling their work in media including fiber, wood, clay, metal, painting, photography, jewelry, glass, and more. We are proud to announce Art on Main was recently named as one of the 100 Best Fine Art & Design Shows, according to Sunshine Artist, America’s premier art & craft show magazine! 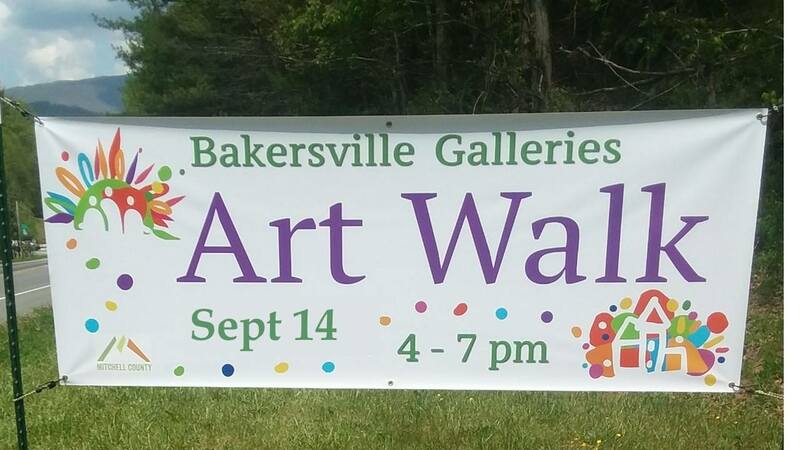 Come and see artist’s demonstrations of their creative processes, such as raku pottery firings, water marbling on silk scarves, and many others, while you enjoy Hendersonville's charming and historic Main Street. Many of the fine artists in the show will be providing special artwork for the Arts Council’s raffle booth. Raffle items are also coming from members of our supportive Hendersonville community, so be sure to check it out! All raffle donations will benefit the Arts Council and its programs. The Arts Council is a community organization that promotes, advocates for, and nurtures the arts in Henderson County and Westtern North Carolina. Hendersonville, North Carolina, is nestled in the foothills of the Blue Ridge Mountains, 30 minutes south of Asheville. Please leave pets comfortably at home, Hendersonville City ordinance prohibits animals in the event area. Art on Main is free and open to the public. For more information: www.acofhc.org, 828-693-8504, acofhc@bellsouth.net. 2018 marketing image: "A Woodland Dream,” acrylic on wood panel, by Deona Fish. 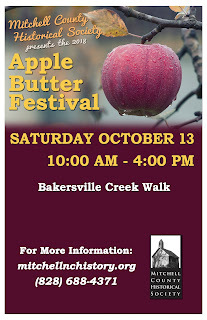 Art and craft vendors wanted for the 2018 Apple Butter Festival, taking place Saturday, October 13th in Bakersville. Application deadline is October 8th. 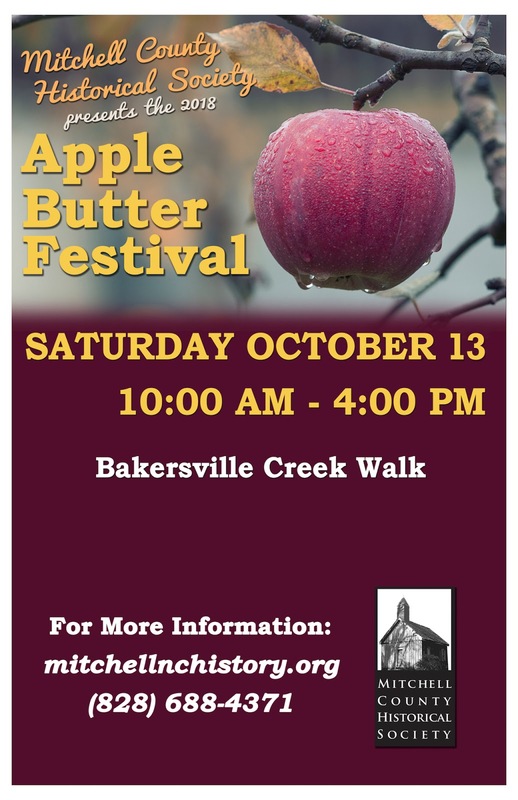 The Mitchell County Historical Society is excited to announce our annual 2018 APPLE BUTTER FESTIVAL on Saturday, October 13, 2018, from 10 to 4 on the Creek Walk in Bakersville, NC!! As in the past, we will be making our signature Apple Butter on site and presenting it for sale. Music, food, raffles, home-crafted goods, coffee, cider....good fun. Our genealogy experts will be on hand to try to answer questions about your family roots here in Mitchell County. Questions/more info: call 828-688-4371 or email historicmitchellcounty.org@gmail.com. Applications also available at the Mitchell County Historical Society office, located in the Historic Courthouse in Bakersville. Hours: Weds. - Sat., 10 to 4. 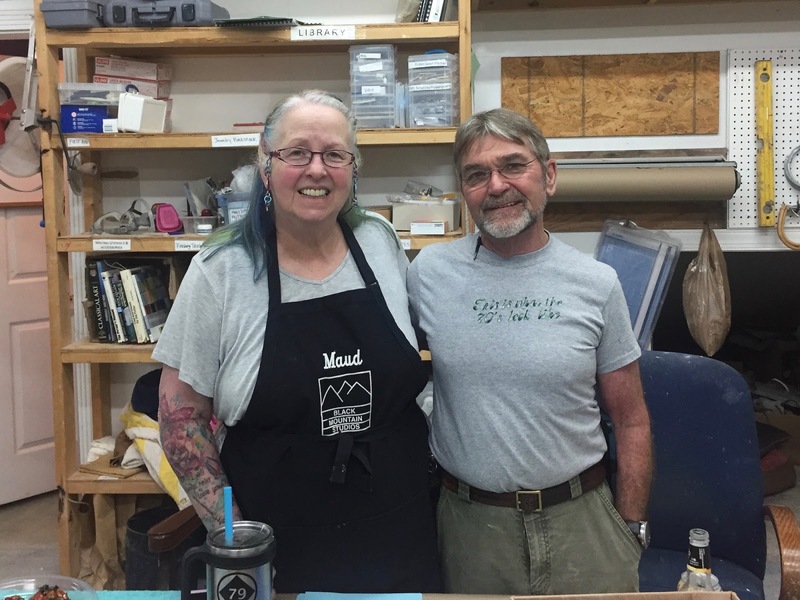 Established local artists, Jon Ellenbogen and Rebecca Plummer have been successfully operating “The Barking Spider Pottery” in Penland for over 40 years. In this class, explore topics such as establishing credibility, record keeping, tax considerations, insurance strategies, business practices, operating a co-operative gallery, creating your own crafts show, and much more! Turns out there are 80 bricks still available, they are a different size than the rest, they are straights, 9 by 4.5 by 2.5. $1.50 a brick. My contact information is Todd Runkle, trunkle66@gmail.com, 4048494858 cell, I’m located in Marshall outside of Asheville. The North Carolina Ceramic Arts Festival is an Asheville, NC event that focuses on ceramic arts of all genres including tilework, sculpture, jewelry, and pottery. The festival includes over 40 ceramic art vendors, food trucks, raku demonstrations and live entertainment. Come for a day of fun and enjoy lunch from local food trucks, listen to buskers, check out street performers, and shop the beautiful and diverse ceramic artist booths. NCCAF 2018 will take place at Pack Square Park, right in the heart of downtown Asheville. Fall in downtown Asheville attracts thousands of visitors each weekend, giving our artists fantastic sales opportunities and giving our visitors a bustling, artistic shopping experience in the middle of restaurants, breweries, shops, and entertainment. The venue is surrounded by 5 inexpensive parking garages within a few blocks walk. • Raffle in the sponsorship tent provided by The Village Potters Teaching Center and Laguna Clay Distributor with raffle award provided by our featured artist Sarah Wells Rolland and other participating artists. • Food and dessert trucks and live music! Nice to see this photo of Mitchell and Yancey County potters at the Mint Museum Invitational in the local papers today! It ran in both the Yancey Times Journal and The Mitchell News-Journal; this is from the Mitchell paper. Crafty Feast is a juried indie craft fair in Columbia, SC featuring nearly 100 makers from across the southeast. This year's event is Sunday, December 9, 2018 from 12-6 pm at the Columbia Metropolitan Convention Center. Applications are open now and will close Monday, September 24 at 5 pm. I have really good condition soft kiln bricks to sell. I have roughly 200-300 straights and 50 2A arches. Mostly BNZ 2300. Excellent condition very few broken. I’m asking 1.50 a brick. My contact information is Todd Runkle, trunkle66@gmail.com, 4048494858 cell, I’m located in Marshall outside of Asheville. Attached pics show some of the bricks and their condition. Thanks to Rachel Smith for sharing this info about Clay-King’s retail store opening next week in Spartanburg. I wanted to let you all know about an event that is coming up this weekend in Johnson City, TN. On Sunday, September 16th the InstaCrafty Art Fair will take place at 309 East Main St, in downtown Johnson City from noon to 6pm (no longer in the pavilion). This new INDOOR location was arranged because of the high probability of windy conditions from the outer bands of hurricane Florence. 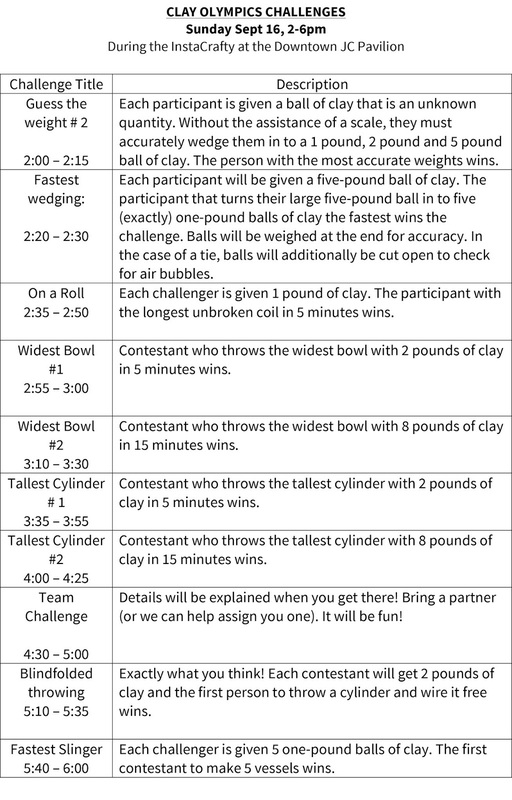 As part of this event, there will also be a special event called the Clay Olympics! During the Clay Olympics, participants will compete with other ceramic artists in a variety of different categories. This will all be done in the spirit of good ol' pottery fun and we hope you will join us as a challenger. Highwater Clays has generously sponsored this event and have provided all sorts of prizes from gift certificates, to tools, to magazines and more. 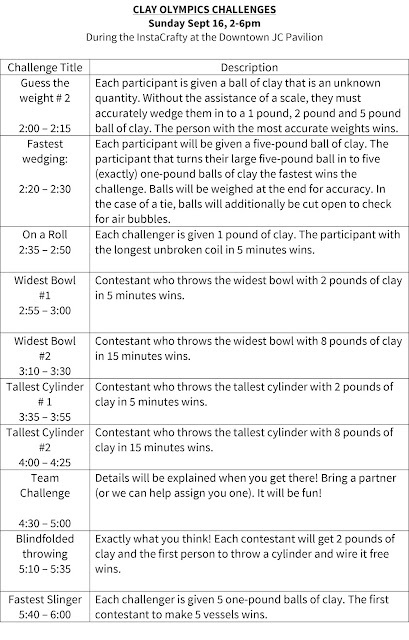 If you are interested in participating in the Clay Olympics, the events will take place between 2:00 and 6:00 pm (full details and exact timing in the image below). Registration for events officially starts at noon on Sunday, but feel free to email me with any questions/requests ahead of time at: rogersle@etsu.edu. Many thanks to Maud and Austin Boleman for hosting Clay Club! It was great to get to see their studio and gallery even as they gear up to close it soon. Clubbers bought a lot of the items they were selling, but there are still some left. They are priced super reasonably and need to be gone by October 4th. 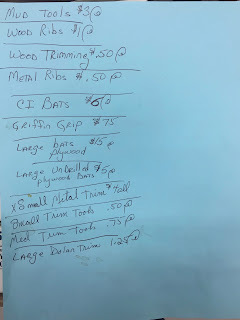 See the price list below for an idea of what’s available (there were also clay, cones, chemicals, and probably more things I’m forgetting), and contact Maud at mauds.stuff@gmail.com if you’re interested. Lindsay Rogers couldn’t make the meeting, but she wanted to share an event happening this weekend in Johnson City: InstaCrafty in downtown Johnson City happens about 3-4 times per year. It is largely organized by Lisa LaPella, a potter in Tennessee. This weekend, on Sunday the 16th, the fall Instacrafty will take place in the covered pavilion right in the middle of downtown Johnson City. Along with the art fair, there will be a Clay Olympics! This event is sponsored by Highwater Clay and will include opportunities for challenging fellow potters to things like throwing, handbuilding and wedging challenges. There will also be prizes! The event will take place roughly from 3-6 on Sunday. Thanks again to Maud and Austin, and best wishes to both of them on whatever comes after production pottery (as Maud said: “production pottery sounds like fun till you do it a couple thousand times”)! October Clay Club will be at Mars Hill University from 6-8 pm on Wednesday, October 10th. Thanks to Shane Mickey for hosting us! I’ll share more info closer to the date. 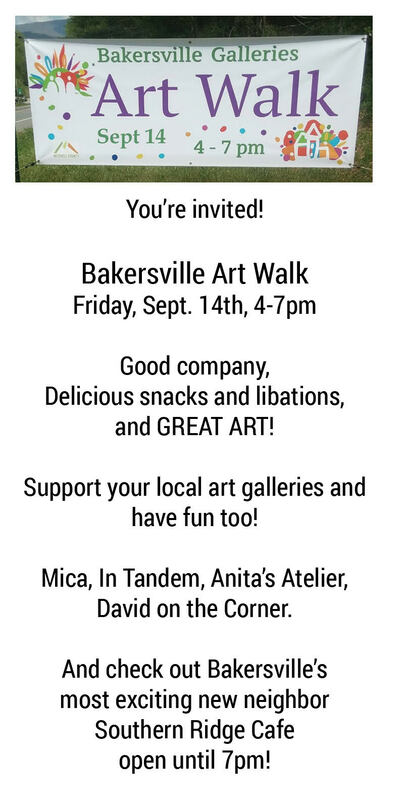 Support your local art galleries and have fun too! 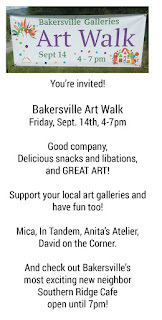 Visit Mica, In Tandem, Anita’s Atelier, David on the Corner. Barry Rhodes will be at the gallery for the inauguration of his Solo Show. Come to Bakersville on Friday and celebrate the Arts with us. Penland Winter Residency is an opportunity for a small community of artists to work independently for a short term in our studios during Penland’s quiet season. There will be a limited number of artists per studio—enough people to provide conversation and creative camaraderie, but not so many that focused time in the studio is compromised. Our goal is to provide professional opportunities for individual or collaborating artists and encourage experimentation and inquiry in all media. 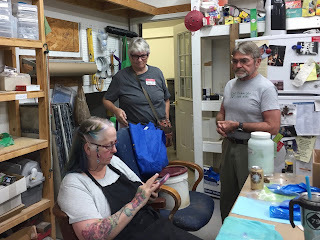 • The following studios will be available: books, clay, drawing/painting, hot glass, flameworking, iron, letterpress, metals, printmaking, photography, papermaking, textiles, wood, and writing. • We welcome writers. We offer shared work spaces for resident writers in one of our quieter studios. 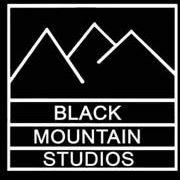 • There will be a studio assistant in each studio to help residents with projects if and as needed. Please note: our studio assistants are not instructors; we assume all residents are able and willing to work independently with only minimal assistance here and there. Residencies run one to four weeks between December 30, 2018 and January 26, 2019. Applications are now being accepted for Artisphere, which will take place May 10-12, 2019, in Greenville, South Carolina. Application deadline is October 4, 2018. 2019 marks the 15th anniversary for the top ranking Artisphere festival in Greenville, SC. Despite its short history, Artisphere has distinguished itself as both a regional and national highlight. A supportive, art-loving community, beautiful setting, notable on-site artist amenities and hospitality, and over 500 volunteers make Artisphere a standout show for exhibiting artists and patrons alike. Renowned artist hospitality includes complimentary meals, snacks & beverages, convenient load-in and load-out, parking, 24 hour security, booth sitters, and reduced hotel rates. Artisphere is a 501(c)(3) non-profit art organization. Proceeds are used to produce the annual arts festival and are distributed back to local non-profit arts organizations as part of Artisphere's Volunteer Arts Partnership Program. STARworks Clay Studio in Star, North Carolina is accepting resident artist applications for the 2019 January - June sessions. The resident artist program provides resources to develop new work or expand current work. Residents are provided with time and materials to push personal, professional, technical and conceptual limits. Financial compensation is available. 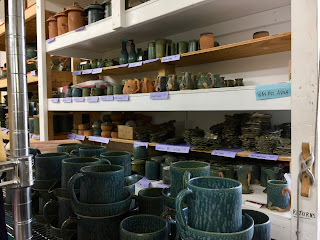 STARworks Clay Studio is a fully equipped studio with numerous kilns, wheels and a ceramic supply store on site that manufactures local clay bodies using wild North Carolina clays. 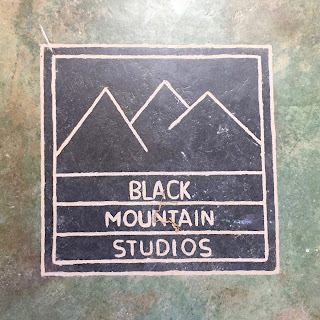 September Clay Club is at Black Mountain Studios in Swannanoa from 6-8 pm this Wednesday, September 12th. Thanks again to Maud and Austin Boleman for hosting us! Carpooling: if you're interested in carpooling, let me know and I will put folks in touch. You can also leave a comment on that same blog post or on this facebook post. 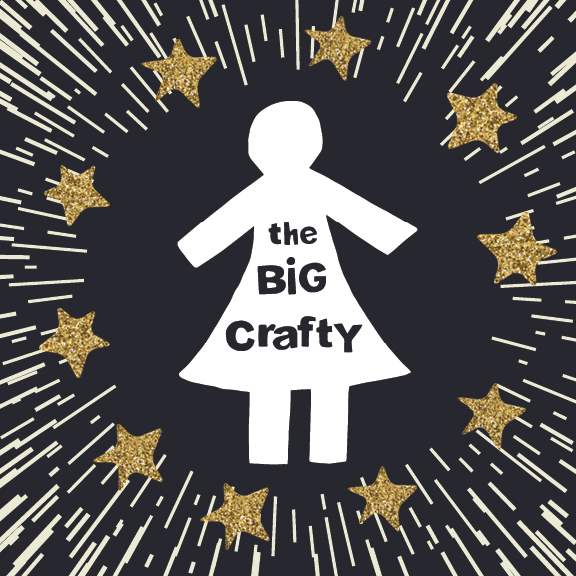 Applications are now being accepted for The Big Crafty, taking place December 1-2 at the US Cellular Center in downtown Asheville. The Big Crafty features the work of 150 carefully-selected artists, makers and crafters who embody the dynamism of the independent creative community. 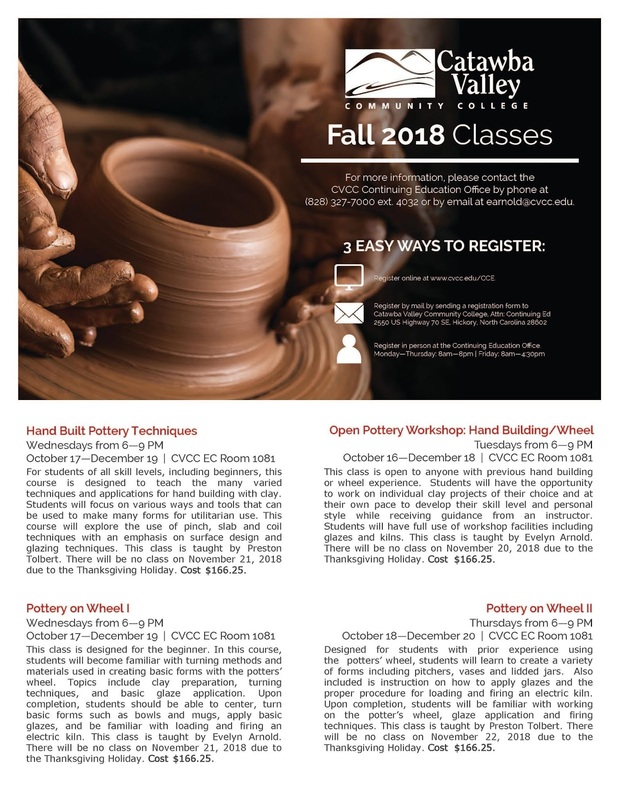 For students of all skill levels, including beginners, this course is designed to teach the many varied techniques and applications for hand building with clay. Students will focus on various ways and tools that can be used to make many forms for utilitarian use. This course will explore the use of pinch, slab, and coil techniques with an emphasis on surface design and glazing techniques. This class is open to anyone with previous hand building or wheel experience. Students have the opportunity to work on individual clay projects of their choice and at their own pace to develop the skill level and personal style while receiving guidance from an instructor. Students will have full use of workshop facilities including glazes and kilns. This class is designed for the beginning. In this course, students will become familiar with turning methods and materials used in creating basic forms with the potters' wheel. Topics include clay preparation, turning techniques, and basic glaze application. 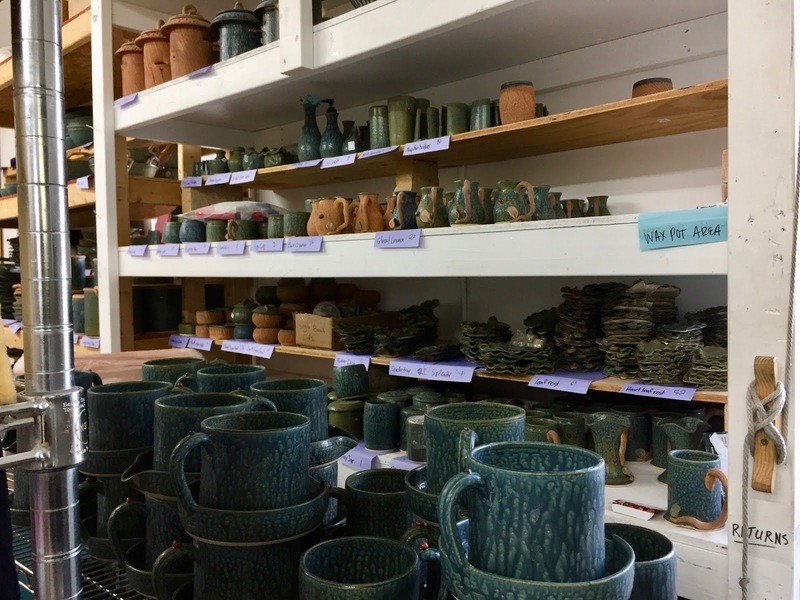 Upon completion, students should be able to center, turn basic forms such as bowls and mugs, apply basic glazes, and be familiar with loading and firing an electric kiln. Designed for students with prior experience using the potters' wheel, students will learn to create a variety of forms including pitchers, vases, and lidded jars. 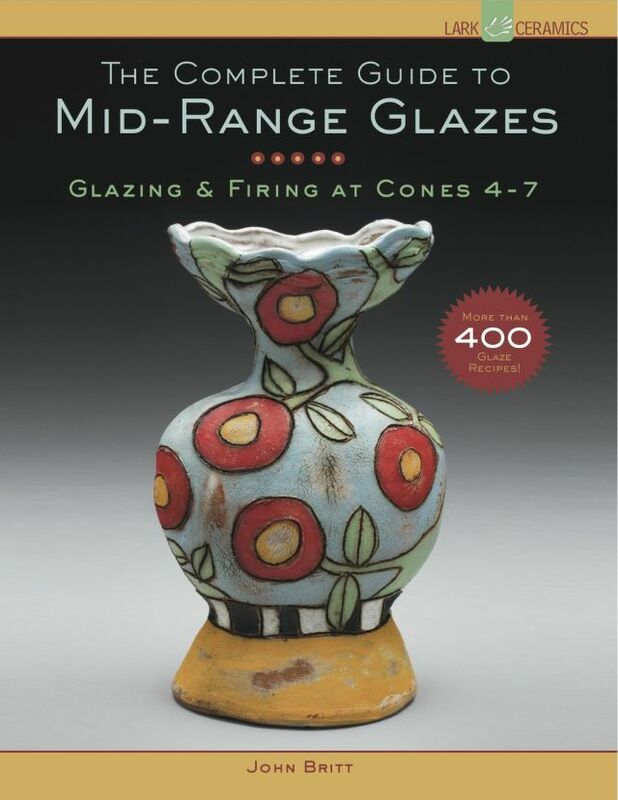 Also included is instruction on how to apply glazes and the proper procedure for loading and firing an electric kiln. Upon completion, students will be familiar with working on the potter's wheel, glaze application and firing techniques. To increase the porcelain’s hardness, he reinforces it with iron, silicon, zirconium and one other ingredient that he isn’t ready to reveal. It’s then heated in a furnace to more than 1,600 degrees Celsius (about 2,900 degrees Fahrenheit), higher than porcelain is usually fired. An important thing Chan had to consider during the firing process is that as the moisture evaporates, the material reduces in size by about 10 to 20 percent. So each piece has to be sized in a way that takes this shrinkage into account. But this wasn’t just any old porcelain. It was a porcelain seven years in the making, which Mr. Chan invented and which he says is five times harder than steel. The material — called for the time being, a little unimaginatively, Wallace Chan Porcelain — is made of specially chosen ingredients that Mr. Chan treats like the equivalent of a state secret out of fear of industrial espionage (the jewelry world is, apparently, a paranoid place). But the ingredients are, he said, almost devoid of impurities. Pieces are fired in one of his two custom-built German kilns, to about 1,650 degrees Celsius (3,000 degrees Fahrenheit), or about 200 degrees Celsius more than in the traditional process. The result is a dense, strong porcelain with an unusual shiny luster. Applications are now being accepted for Ooh La La’s Holiday Bazaar, which will take place October 6, 13, 20 and 27 in Pritchard Park in downtown Asheville. Ooh La La Curiosity Market is not only a fabulous market for local artists it is also a fundraiser for Animal Haven, a no kill shelter in East Asheville​. Email oohlalacuriositymarket@gmail.com for information about becoming a vendor. 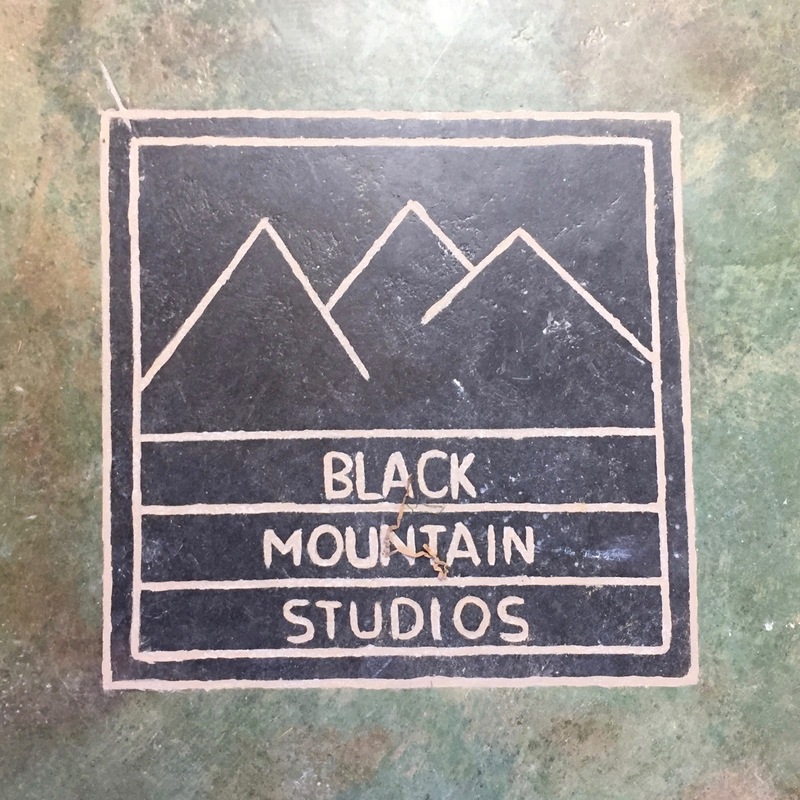 September Clay Club will be at Black Mountain Studios in Swannanoa from 6-8 pm on Wednesday, September 12th. Thanks to Maud and Austin Boleman for hosting us! 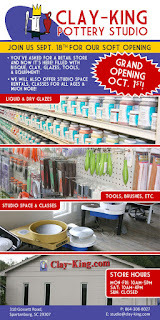 The Bolemans are retiring and selling their studio, and they have invited Clay Clubbers to have the opportunity to purchase equipment and supplies they will no longer need. Items they’re selling include bats, chemicals, bottled underglazes, cone 5-6 bottled glazes, metal carts, extruder, wedging table, and hand tools. We’ll have our usual potluck, so bring food to share. Clay Club is BYOB, so bring drink, too. 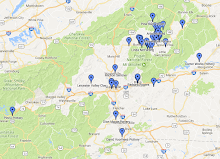 Carpooling: Mitchell and Yancey County folks - if you're interested in carpooling, let me know. If you’re interested in carpooling from elsewhere, let me know and I will put folks in touch. You can also leave a comment here on this blog post or on this facebook post.